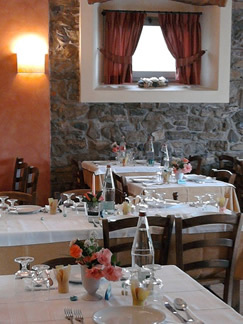 The owners welcome their guests to a cheerful, friendly restaurant dining room, offering traditional Mugello and Prato area dishes. Homemade pasta, grandma’s deserts and Prato cookies are just some of the specialties and delights from Rimaggiori’s kitchen. Rimaggiori can even host ceremonies and small functions.